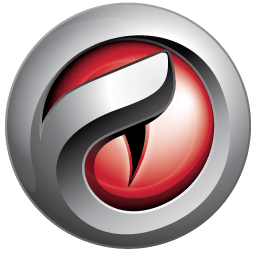 Comodo’s free Firewall is your first layer of defense against viruses, malware, worms, Trojans, hackers, and all Internet threats. In order to prevent threats from occurring, rather than just detecting them when it’s already too late, Comodo’s Firewall utilizes unique Default Deny Protection. When a file or application knocks on your PC’s door, Comodo Firewall is able to access a “safe list” of over 2 million files and applications that are known to be PC-friendly. If the file asking for access is on the list, Comodo Firewall can be sure it’s safe for your computer and allow it to execute. If not, Comodo Firewall will alert you that a possibly malicious file is trying to enter your PC. Comodo Firewall is a “learning” piece of software, able to recognize your downloads and alter its alerts accordingly. It’s also easy to use – Firewall’s attractive interface lets even beginners change settings to their liking. Comodo Firewall comes with automatic updates for the latest in PC protection, is free for life, and is winner of the prestigious Editor’s Choice award from PCMag.com. Download it now, and experience prevention-based protection.